Dr. Holdren is honored for the significant role he has played in mobilizing the international community of scientists and policymakers to take action on a wide range of global energy, environmental, and security issues. Dr. Holdren’s leadership in research and policy in global energy and environmental issues has had a profound influence in shaping global environmental debate and advancing scientific contributions that affect the well-being and relations among people and nations. Holdren, age 56, is the Teresa and John Heinz Professor of Environmental Policy and Director of the Program in Science, Technology, and Public Policy at the Belfer Center for Science and International Affairs at the John F. Kennedy School of Government at Harvard University. He is also a professor of Environmental Science and Policy in the Department of Earth and Planetary Sciences at Harvard and Visiting Distinguished Scientist at the Woods Hole Research Center. An authority on energy technology and policy, global environmental change, and nuclear nonproliferation, Dr. Holdren’s own research – along with the reports of national and international panels he has led – has helped shape new understanding and new policies relating to energy strategy for sustainable development, causes and consequences of global climate change, and the protection of weapon-usable nuclear materials. As a member of President Clinton’s Committee of Advisors on Science and Technology (PCAST), Dr. Holdren has led studies requested by the President on US-Russian cooperation to protect nuclear materials, US fusion-energy research, energy research and development strategy to address the climate-change challenge, and international cooperation in energy-technology innovation. He also chairs the Committee on International Security and Arms Control at the National Academy of Sciences and the National Research Council’s Committee on US-India Cooperation on Energy. Dr. Holdren’s involvement in international efforts to reduce the danger of nuclear conflict dates to the early 1970s. He began participating in 1973 in the Pugwash Conferences on Science and World Affairs – a group of scholars and public figures from around the world concerned with nuclear arms reductions and seeking cooperative solutions for global problems. 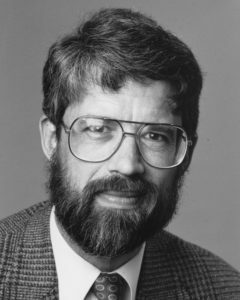 Dr. Holdren served as Chair of the Pugwash Executive Committee from 1987 to 1997, and was chosen by his colleagues to give the acceptance speech when the Pugwash organization received the Nobel Peace Prize in 1995. As an educator, Dr. Holdren has pioneered modes of interdisciplinary education and inquiry to form the next generation of scientists and professionals who will need to cope with the even more complex environmental and international-relations issues. He co-founded in 1973, and co-directed for 23 years, the campus-wide interdisciplinary graduate program in Energy and Resources at the University of California, Berkeley, a pioneering program whose graduates now hold leadership positions in the fields of energy, environment, development, and international security around the world. He moved to Harvard in 1996.